Honestly, I don’t even know how much a “peck” is. I could consult the oracle known as teh interwebs, I suppose, but the instant gratification of knowing the definition of a unit of measure I’ve known about my whole life but that has been kinda nebulous and undefined would be somehow unsatisfactory and a letdown. I want to learn what a “peck” is by experiencing it, not vicariously from a web site or by being told. I want to arrive at my understanding of “a peck” organically by, say, dorking about a farm and having a grizzled farmhand speaking to me, offhandedly gesturing about and remarking about how “Bessie foaled in the springtime. The harvest was fair to middlin’, and that thar peck o’ okra is bound fer market in Omaha tomorrow.” And then I want to look at the okra (or whatever) he’s pointing at and have the firsthand lightbulb-over-the-head “Ohhhh! THAT’S how much a ‘peck’ is!” moment. 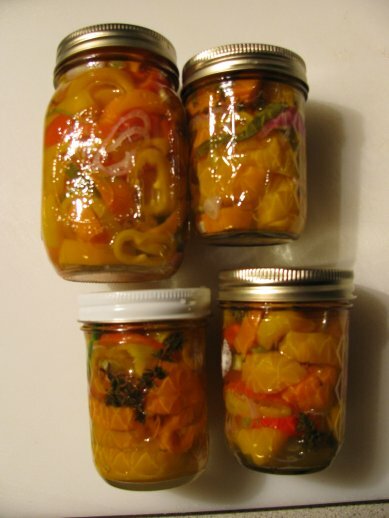 Obviously this ruminating about what a “peck” is happened because I made some pickled peppers. Actually I’ve made these before, and they are quick and easy and keep well and are amazing on both hot and cold sandwiches and on pizza. Especially on pizza. Tragically, I made these and then made pizzas and salad the next night, fully intending to have them with pizza. But after finishing dinner, I realized that both The Wife and I had forgotten to take these out of the refrigerator. How’s that for absentmindedness? So check it out. 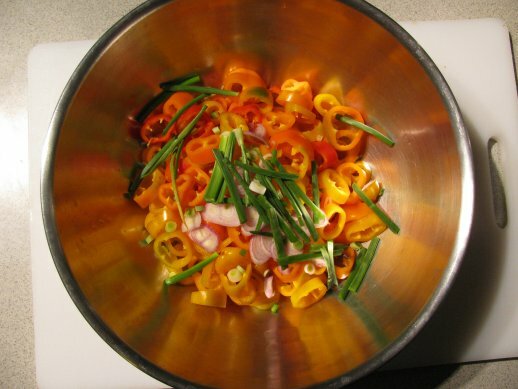 Next time you see a large bag of baby bell peppers, buy them. CostCo usually has them in bulk 2 pound bags, which is what I used for the below. 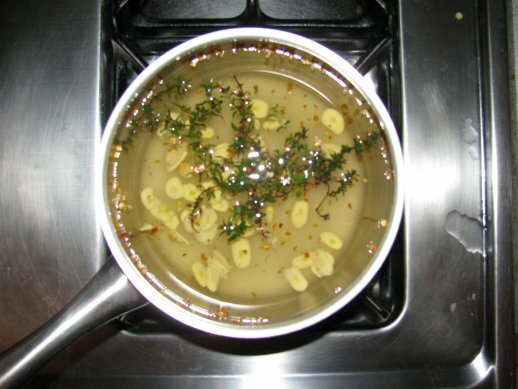 Throw everything else into a saucepan and bring it to a boil. Make sure you stir it so the sugar doesn’t stick to the bottom and end up caramelizing. Once the stuff in the pot is boiling, pour it over the bowl with the peppers and whatnot. That’s it. You’re done. Put them in the fridge for at least 12 hours before you start eating on them. Give some away. Pretend they are rare and exotic rings you place around your finger, whatever you want. 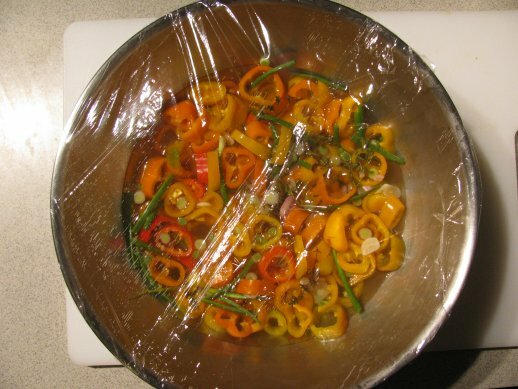 These are your pickled peppers, and what you do with them in the privacy of your home is your own business. Regardless, they’re gonna taste good. And this is what I ended up with. Yum!